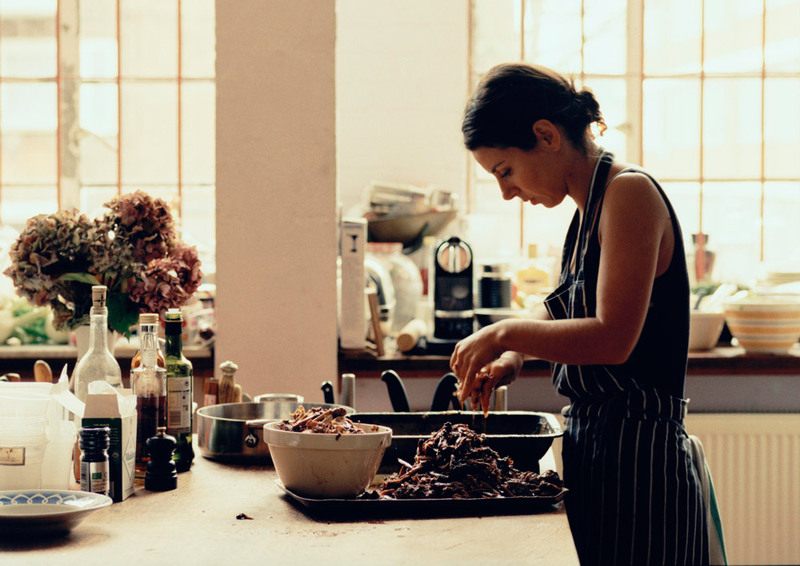 Florence is a chef and author of ONE: A Cook and Her Cupboard and food columnist at The Sunday Times. Her simple approach to food and careful choice of ingredients means a constantly evolving menu. Upon completing her Diploma at Leith’s School of Food and Wine, Florence worked as an assistant baker at The Bertinet Kitchen, pastry chef under Robin Gill at Raymond Blanc’s The Diamond Club and head canapé chef at Rhubarb Food Design. She became head chef at St Clement’s, a private restaurant in London’s Middle Temple, before opening Polpetto in Soho. Within the first couple of months, her preference for pared back, unfussy cooking had made its mark. With just 26 covers, the original site proved too small and whilst Polpetto moved to a larger site on Berwick Street, she wrote her first cookbook, ONE: A Cook and Her Cupboard. The restaurant reopened in 2014 to critical acclaim and Florence was named Sunday Times cook. Florence left Polpetto to open her own restaurant, which she hopes to open in the coming year.